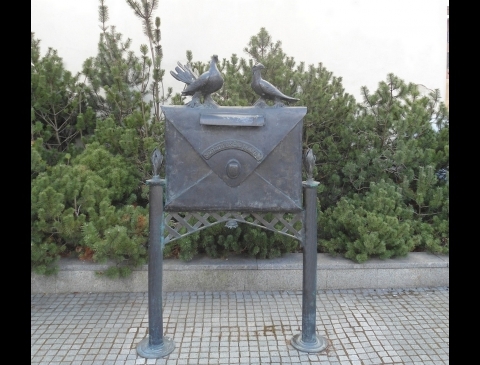 The crossroad of Turgaus and Tiltų streets was adorned by sculptural composition „Old Town Post“ – postbox with table and benches. 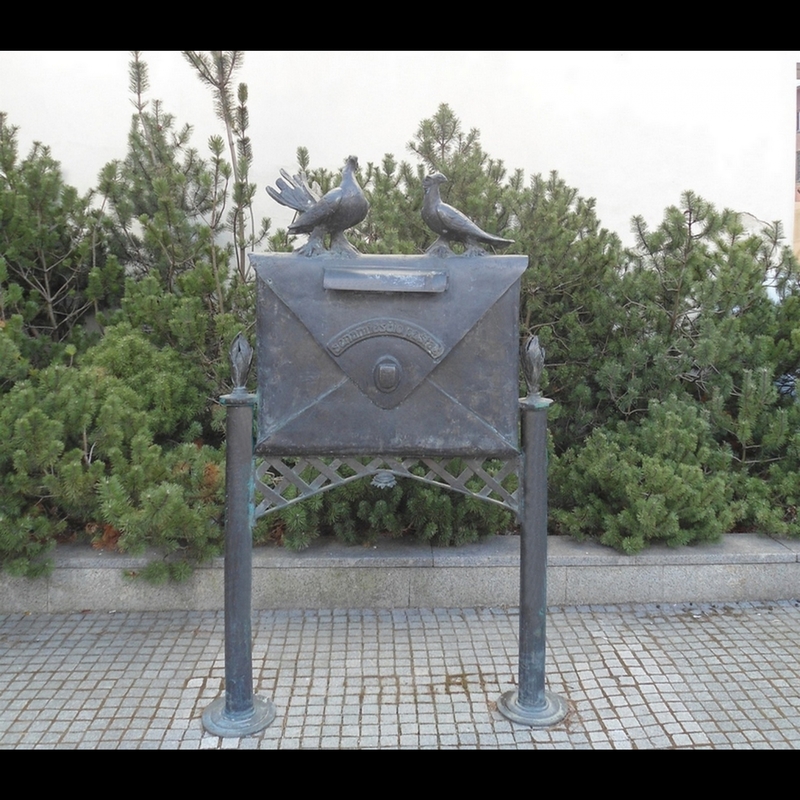 This composition not only enlivens the environment, but also has a well-defined functional purpose: businessmen will be waiting for suggestions, thrown into the postbox...Sculptor – Klaudijus Pūdymas. What Can the Old Town Cat Tell Us?